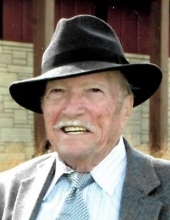 John Leo (Jack) Schneiders, 85, passed away Friday, March 22, 2019 at Bishop Drumm Care Center in Johnston. Jack was born in Sioux City, IA to parents Leo and Helen Schneiders who preceded him in death. He is also preceded in death by daughter Michelle Wells. Jack graduated from Sioux City Heelan High School in 1951 and went on to serve in the US Army from 1953-1955 during the Korean War. Following his military service, Jack graduated from Morningside College in Sioux City, IA and began his career in accounting. Jack worked 35 years for the Internal Revenue Service until his retirement in 1994 and then continued to work as a tax consultant for several more years for other agencies. Jack was actively involved in the civil rights movement and equal housing rights during the 1960’s while living in Davenport, IA and remained dedicated to justice, peace and equality for all. He volunteered generously for various organizations throughout his life. In retirement Jack pursued his many talents and interests such as woodworking, gardening, genealogy, bargain shopping and collecting. Jack was a devoted family man with a personality that was larger than life. He will be greatly missed by all. Jack’s memory and legacy will be cherished by his survivors including his loving wife Jean Schneiders; their children Ed Schneiders and wife Patricia, Rita Johnson and husband Rob, Mary Wright, Teri Maki and husband Mitch, Chuck Schneiders; two grandchildren raised by Jack and Jean - Melissa Pioch, and Nicole Bennion and husband Michael; plus 17 additional grandchildren, 16 great-grandchildren, and 1 great-great grandchild; sisters Geraldine Thomas and Joan Beckman. Memorial contributions may be given to Mercy Hospice, St. Pius X Catholic Church or American Legion Post 663. Online condolences may be expressed at www.caldwellparrish.com. To send flowers or a remembrance gift to the family of John Schneiders, please visit our Tribute Store. "Email Address" would like to share the life celebration of John Schneiders. Click on the "link" to go to share a favorite memory or leave a condolence message for the family.